He’s using a measurement that is literally descriptive. Men scramble up the “baies” or beams that run inside the length of the high-roofed smokehouse to hang herring and, once they’re smoked, to retrieve them. Like the smoking process itself, it’s a job that takes skills passed down from one generation to the next. 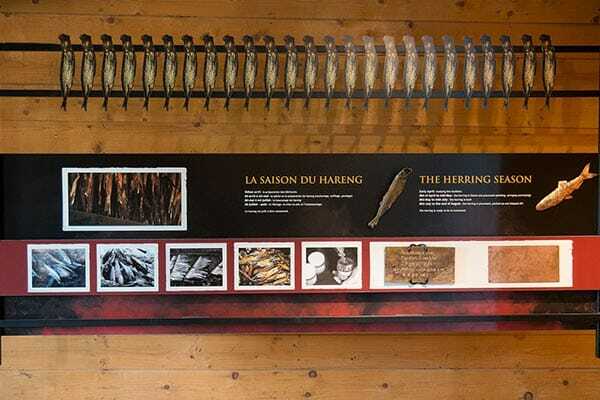 Smoking herring for a living was an integral part of daily life for the Arseneau family and many other Madelinot for generations, but in the last decades of the 20th century, islanders nearly lost the trade and the knowledge necessary to run it. At the time, of the 40 smokehouses across the island, only one remained intact and it belonged to the Arseneau family. 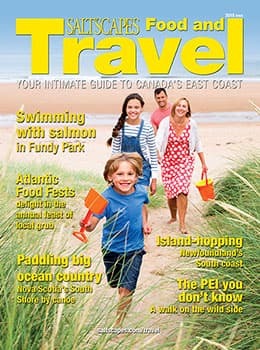 “In the early 90s, my uncles went to see my grandfather,” says Felix in fluent, lightly accented English, “and said we cannot lose it because it is our family tradition.” By the time the three Arseneau brothers—Benoit Jr., Daniel and Louis (Felix’s father)—made the appeal to their father, Benoit Sr., to teach them the trade, even they had dismantled one and a half of the three smokehouses they owned. It all started around 1870 when merchants from Maine and the Maritimes—particularly those from the Bay of Fundy island of Grand Manan—taught the Madelinot how to smoke herring. They built a few smokehouses to supply the local market. Around 1925, Adrian Arsenau set up a salt fish plant on the family property, and in 1942, his son Fabien Arseneau added the first family smokehouse. When WWII prevented European exports of smoked herring to the West Indies, the Magdelene Islands smokehouses replaced those supplies and the industry took off. Fabien quickly expanded with two more buildings. At its peak over the next three decades, the smoked herring industry employed about 1,200 workers across the archipelago from April to September. Annual herring catches could reach 15 million pounds exported as 150,000 to 200,000 cases of smoked herring, each weighing eight kilograms. The fish were plentiful and business was booming. Felix says his grandfather Benoit Sr., who operated the smokehouse for a short time after Fabien died in 1976, remembers walking knee deep in herring eggs. That kind of production was not sustainable. By the 1970s, the herring population crashed from overfishing. The Madelinot smoked their last herring in 1978. At first, the islanders, including the Arseneau family, gave up entirely on the industry. Then, in the 1990s, the herring population showed signs of recovery, prompting the Arseneau brothers to ask their father to teach them the trade. By mid decade, the family was back in business in the only intact smokehouse remaining on the islands. Today, Le Fumoir d’Anton smokes up to 65,000 pounds of herring a year, as well as many other delicacies. After Felix shows me around the working smokehouse by sliding open ground level doors to peek though the smoky gloom at the fires and by pushing open small upper doors using a long pole for a look at the racks of herring, we stop by the museum housed in the smokehouse that was half torn down where I learn about the herring industry and the smoking process. Herring fishing season is from mid-April to mid-May. Using heart shaped nets, the fish are rounded up and scooped into small boats for transport to the plant where they are brined for 36 to 48 hours. Out of the brine, the fish are strung 15 at a time on a drying cane, a process called “threading.” The drying canes are hung on a “boyard,” a kind of stretcher or cart carried by two people to the smokehouse. That’s where they are hung on the “baies” by those agile enough to scramble around up there. The herring are cold smoked above maple wood fires that are smothered in sawdust and smolder in small piles all around the concrete floor. The maple comes from the mainland as there is little room for forest on these small islands. The fish dry to 40 per cent of their original weight and the smoke permeates the meat. This process is known as hard smoking or kippering. Once the fish are well dried, the golden delicacies are taken down, weighed and packed in wooden boxes for shipment, virtually all of it to mainland Quebec, although the company offers a mail order service as well. But it’s not all time-honoured processes at Le Fumoir d’Anton. Inside the store, Felix introduces me to his uncle Benoit Jr., one of the brothers who made that fateful visit to their father. He’s a mountain of a man who wears a big smile and speaks in a heavy French accent. Benoit proudly oversees the operation of a shiny new mechanical smoker that gives the company more flexibility to smoke other species like scallops, salmon, trout, mackerel, eel, sturgeon and redfish. They’ve added Montreal style smoked meat, locally made cheeses and mackerel, mussels and salmon smoked and packed in oil. After Benoit shows me around, Felix helps with a little shopping. 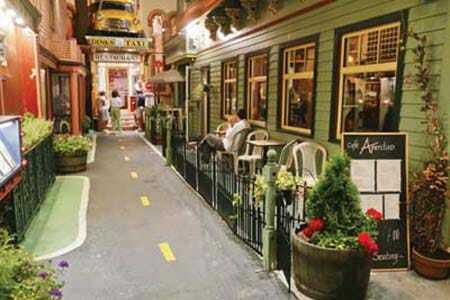 I pick out a small package of smoked herring—strips of dark loin meat are all the customer sees of the original fish. The Arseneaus are eager to know what I think of the delicacy created by knowledge handed down for nearly 150 years on the Magdalenes. I bite into the dark loin. The rich oiliness of the dense meat is balanced by the smokiness and the salt from the brine. I tell them it’s delicious. It tastes like tradition. For some of the best soft cheese west of France, stop at Fromagerie du Pied-de-Vent. Watch the cheese making process and meet the cows. See gorgeous blown glass made at Verrerie La Méduse or take a workshop and make some for yourself. Stop by Le Barbocheux to try “Bagoose,” the traditional home-brewed sweet wine they call the beer of the islands. They also make liqueurs from local berries. Watch bees at work and take a candle-making workshop at Miel en Mer where you can add honey, mead and honey glazed cranberries to the picnic you are invited to bring and enjoy on the property with a view of the sea. Put the herring through the blender or cut it into small pieces for a healthy bacon substitute in Caesar salad, potato salad or omelet. Marinate the herring in a jar with oil and spices for an alternative to anchovy to use on pizza or in Caesar salad. Smoked herring goes well with a baguette or crackers, especially with soft cheese like that made by Pied de Vent on Isle de la Madeleine. Simple is best – a smoked herring filet goes well with a beer for a snack. 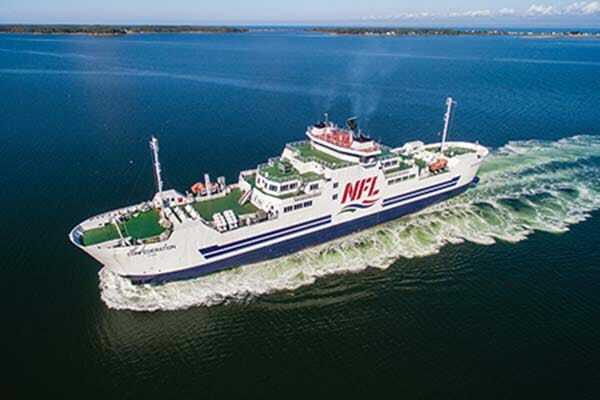 For 75 years, Northumberland Ferries Limited (NFL) has been connecting Prince Edward Island with the rest of Canada, offering a ferry service between Wood Islands, PEI and Caribou, near Pictou, NS. 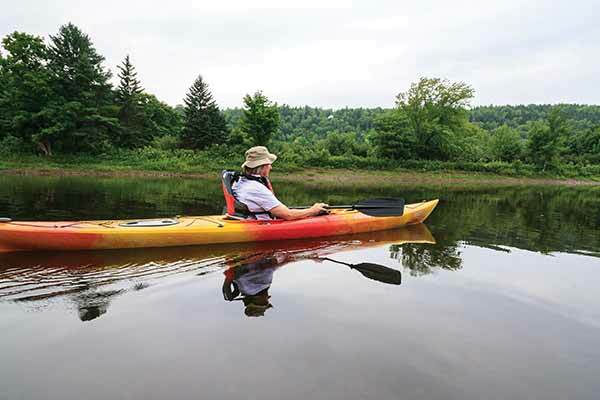 There’s something about Maine that keeps me coming back.